Please send angels to Japan. It's raining here. I'm finding it difficult to get moving. My whole family had a tough time rolling out of bed this morning...I guess it takes a few days to adjust to losing an hour. Right in the middle of feeling like I really should get something done, I came across the below words on Tama Kieve's Facebook page, the right words at the right time. Spring forward "stole" an hour from me. How many hours do we steal from ourselves not honoring the natural rhythms? Today, as much as you can, try not to force anything. Allow the nature of your perfect being to create the nature of this day. So, instead of going on that run and trying to force any kind of schedule, I'm going to do my best to go easy with myself, try to allow myself to adjust slowing & honor that I just need a break today. Every time I get online, I am reminded of the devastation in Japan and my heart aches. This morning, I stumbled upon a little gift...the above prayer and photo, as well as some moving stories from the people of Japan. Despite horrific circumstances, these beautiful people are finding love in their hearts...it warms me right up. A foreign friend told me, they were shocked to see a long queue form so neatly behind one public phone. Everyone waited so patiently to use the phone even though everyone must have been eager to call their families. In the super market where all the things fell, people were picking up things so neatly together, and then quietly stand in line to buy food. I was glad to be a Japanese. The traffic was horrible!! Only one car can move forward at green light. But everyone was driving so calmly. During the 10 hour drive (which would only take 30 minutes normally) the only horns I heard was a horn of thank you. It was a fearful time … but then again a time of warmth and it made me love Japan more. Last night when I was walking home (cause all traffic stopped) an old lady from the bakery shop which was totally passed their closing time was giving out free bread. Even at times like this, people were trying to find what they can do and it made my heart warm. Suntory (juice company) are giving out free drinks, phone company creating more wi-fi spots, 1000000 noodles given from food company… everyone is helping the best they can. We have to do our best too, to stand up. At Disneyland, they were giving out candies. High school girls were taking so many so I was thinking “what?? ?” but then the next minute, they ran to the children in the evacuation place and handed it to them. That was a sweet gesture. When there is a black out, there are people working to fix it. When the water stops there are people working to fix that too.. and when there is problem with nuclear energy there are people going there to fix that. It doesn’t fix automatically. While we are waiting for things to be fixed saying we are cold.. there are people risking their life to fix it. Wow, what beautiful stories. Thank you for sharing them here. Love the Tama quote, definitely a day to be gentle on ourselves! Julia, thank you for everything in this post. Thank you. 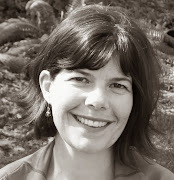 Julia, thank you for this post, so well written, made me tear up. I love the photo of the angel in the snow. beautiful. wonderful stories, such devastation in Japan, such strength. 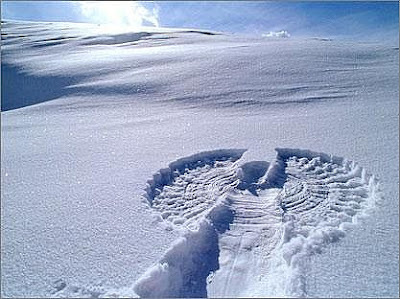 i love that snow angel photo!!! yes!!! to angels in japan!!! love it all, dear one.